While this opera duo have impressive voices…what impressed me the most the model we see here of peer mentoring. Charlotte saw through the shyness and outward appearance, and without her, Jonathan may not have stepped foot on stage, and he would not have reached his potential. We forget sometimes in ministry that we need to help mentor our peers and our students need to do the same. Student leaders need to find peers they can support, encourage, and take to new levels. Similarly, youth leaders/pastors need to find someone in their same boat that they can help bait their hook and reel in the big one, so to speak. Find some time to help another in the trenches, in ministry, and follow the model of “iron sharpens iron”. Are there atheists in your foxhole? This video made me think…do I use all I can to share the gospel? The truth is, I have 6 Bibles within arms reach of me as I type this…do I use that to share the gospel regularly? This soldier many years ago shared the gospel with what he had in a foxhole, where I’m sure those around him were listening a little more closely. What will you share with those in your foxhole, your office, your neighborhood, your family? While they may not be in a foxhole, like those soldiers, tomorrow is not promised to them. I recently attended a small youth leader network meeting (that’s a whole other topic, but add those meeting to your calendar if you seek longevity)…and in that meeting a youth pastor shared about an opportunity he gave his students to share a testimony about Jesus. He opened the stage, and…crickets. But then a girl came up and shared how she used to be a cutter, but now she has Jesus…then an hour later with many tears and many testimonies later, each story was heard. Also, during that meeting we each shared our testimony, our story with each other. God had taken us through different journeys to call us into ministry, to strip us of our pride, to bring us to the cross…what a blessing that was to hear. Why do I say all of this…because there is power in a testimony. Believers we have something special. Something you will hear me say often is that everyone has a story. But here is the difference we have – our story is about Jesus, and there is POWER in that story. How do you use testimonies in your church? Are there other videos that you have used as examples? And most importantly, what is your Jesus story? Do you have one? Maybe these stories will inspire you to have one of your own. 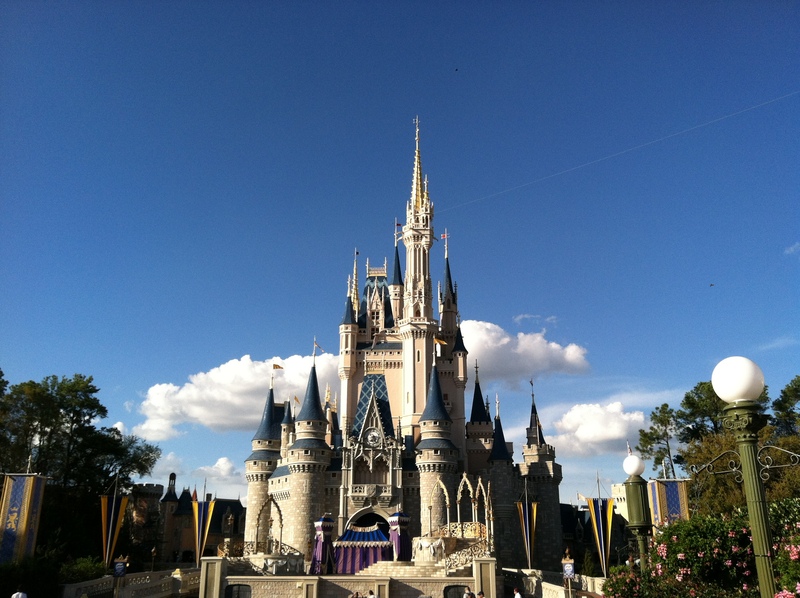 Fresh off my trip to Disney World…I was thinking as I left one of the parks. With 16 million attending Magic Kingdom alone each year, what makes this place so special, and how does it keep it appeal to generation after generation? Could the church learn some things from Disney? Now before you come at me with “the church shouldn’t be like a theme park” or “I’m not waiting in line for communion”, just hold on to your mouse ears for one second…I think there is some value here. There are lessons the church can learn from Disney. Everyone had a smile on their face, from the bus driver that dropped you off to the bus driver that picked you up. Ride workers, photographers, concession workers…they all were so nice…the nicest, well the characters, of course. Could you imagine a moody Cinderella or a grumpy Goofy? Why? Because they were part of something special, people paid good money to be there so they better be nice, and THEY WERE TRAINED. Lesson for the Church: Train your people to be friendly to visitors. Allow your people to understand they are part of something special, the Bride of Christ! So it should show on their faces and attitudes. There shouldn’t be short-tempered Sunday school teachers or grumpy God-worshippers…right? The people at Disney believed in evolution, and they weren’t afraid to let that be known in most of their shows. It’s not like I stood up in Lion King and shouted “Excuse me, but I believe in a Young Earth, and this pantheistic worldview that promotes humanism is smoldering my child’s spiritual growth”. Sure, in the Nemo ride when they said “millions of years”, I shouted “not true”. Evolution and tolerance were all over the park, and they were not afraid to show it. Lesson for the Church: Don’t be afraid to push your beliefs to those listening in your audience. Don’t be ashamed of what your Bible says. The gospel is offensive and people need to hear it! My daughter would say the theme park revolved around Cinderella and Rapunzel, but everyone knows the main star is Mickey. On the ride home, they end with M-I-C-K-E-Y…M-O-U-S-E. His picture, the ears, his emblem is everywhere. In fact, there is a book you can get and find all the hidden Mickey’s throughout the park…if that’s how you want to spend your park visit, so be it (I actually saw a family doing that, so sad). Lesson for the Church: Make sure everyone that comes to your church knows who the star is…and that is Jesus Christ. The pastor is not the star, the worship leader is not the star, and the nursery coordinator is not the star (although they certainly deserve a gold star). The main character is Jesus and He is the one we should promote all over our church campus! Timing is last because it isn’t quite as important as the other three, but still needs to be mentioned. In the musicals, the transitions were incredible. There was little pause between sets. When you would leave a ride, there was someone there with a stand ready to sell you whatever you just saw. As the day went on, there would be parades that would keep your attention. And last, but certainly not least, the time spent was something that really got to us. Each character, especially the princesses took their time with my girls. Snow White even got out of line to talk to my little girl for 5 minutes because she was dressed in a Snow White dress. Lesson for the Church: Make sure your transitions between things are smooth. Don’t think your people don’t notice when the worship leader and you are looking around to see who is supposed to be next on stage. Have greeters for welcoming and exiting. And last, but certainly not least, spend TIME with people. Let people know you care and that the church is not a magical place, but a special place where the love of God is displayed.